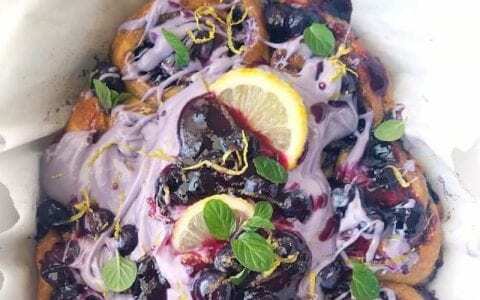 PARTNER POST: We’ve teamed up with Bonne Maman to bring you the best homemade breakfast and brunch recipes to show Mom you care this Mother’s Day and all spring long. What does Mom want for Mother’s Day? 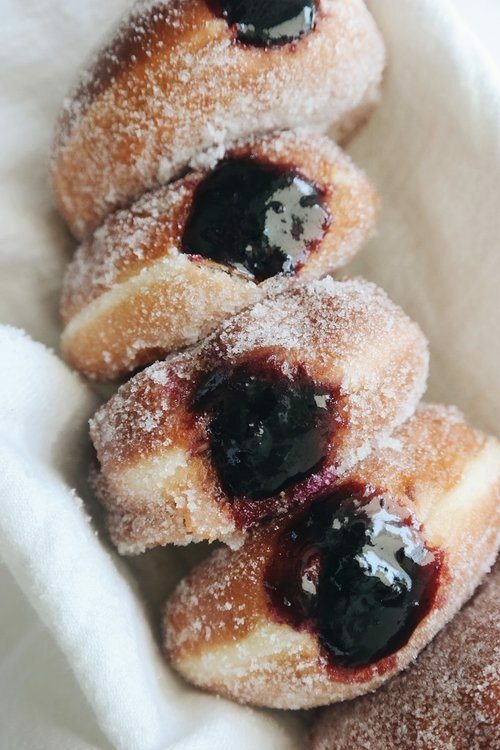 To be biting into these fluffy, sugar-coated, blueberry-filled doughnuts. 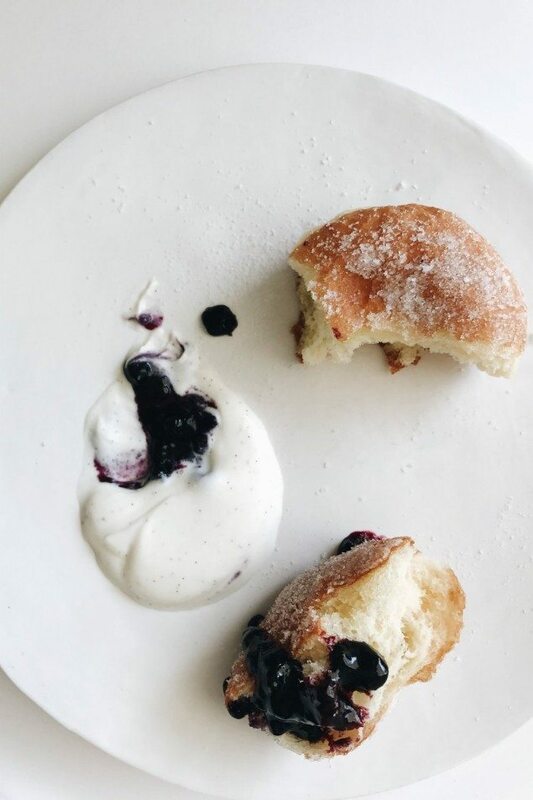 I’m here to share a delicious breakfast treat just in time for Mother’s Day – fluffy, sugared, blueberry-filled doughnuts. 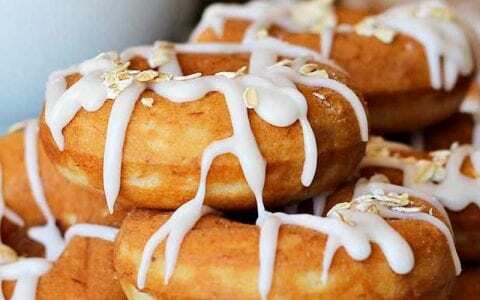 If you’ve never made yeasted doughnuts, have no fear. They take some patience, but in fact are quite simple. And, is there really a better present for mom than a quiet morning in bed with coffee and a basket of warm, homemade doughnuts? I think not. 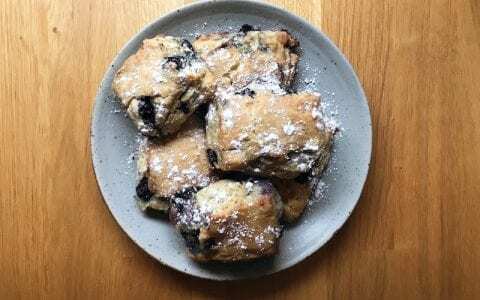 These are filled with Bonne Maman Wild Blueberry Preserves – which captures the deliciousness of ripened sweet blueberries and provides the perfect filling for a pillowy, soft dough. 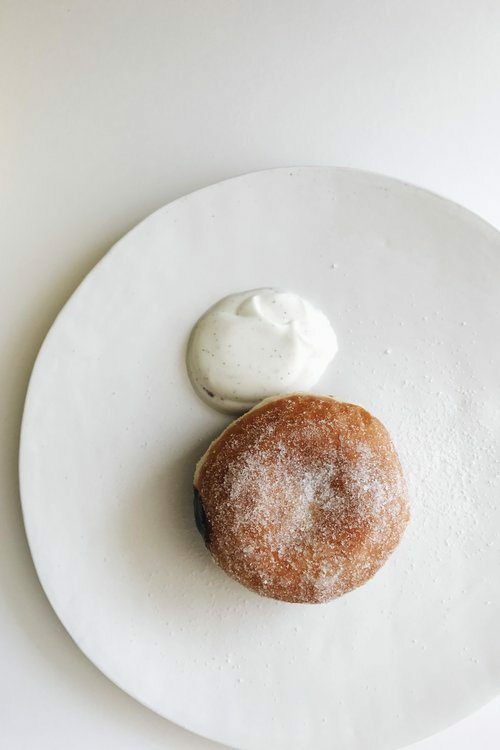 A vanilla-specked whipped mascarpone serves as a decadent dipping sauce, but is by no means essential, as the doughnuts are delicious without. 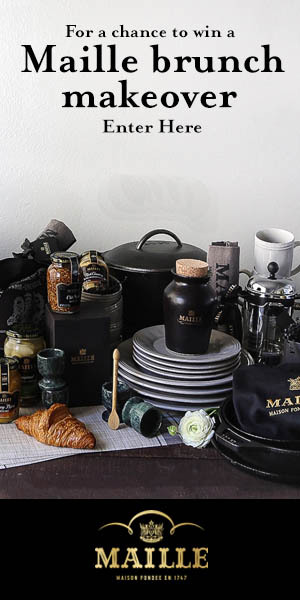 In addition to their delicious preserves, Bonne Maman is hosting a sweepstakes that I’m thrilled to share with you. 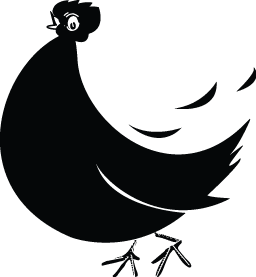 There are some great prizes, including a 12-piece Le Creuset cookware set (I take back a basket of doughnuts being the best gift for mom – I think a Le Creuset cookware set would be pretty high on her list too). Better yet, there will be over 1,000 winners, so your chances are pretty great. I hope all of you mamas out there have an extra special day. Sending love to all of mine – my mama, my stepmom, and my mom-in-law. For more recipe ideas, check out these fun toasts. These sweet pillows of goodness are light as air and ever so slightly crisp on the outside. 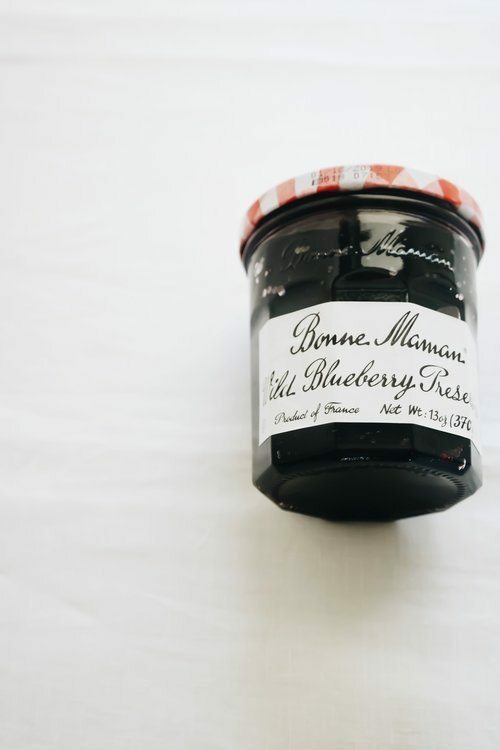 Bonne Maman Wild Blueberry Preserves serves as the perfect filling, and pairs beautifully with the bright lemon zest that dots the dough. 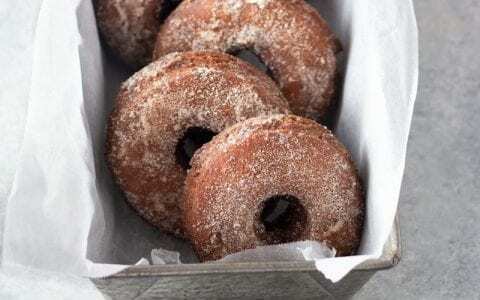 Serve these doughnuts for your next weekend breakfast, or special occasion, alongside a vanilla mascarpone dipping sauce, and you'll have some happy eaters on your hands. In the bowl of a standing mixer fitted with a dough hook, add the milk and the yeast. Stir gently to combine and allow to sit until foamy, about 10 to 15 minutes. In a separate medium bowl, whisk together the melted butter, egg, sugar, salt, and lemon zest. Add to the foamy yeast and milk mixture and stir to combine. With the mixer on low, gradually add the flour until incorporated. Once the mixture forms a dough that pulls away from the sides of the bowl, increase the mixer speed to medium-low and beat until the dough is smooth and only slightly sticky, about 5 - 7 minutes. (If you find your dough to be too sticky, add more flour 1 tablespoon at a time and beat until incorporated). Lightly oil a large bowl with some of the vegetable oil and add the ball of dough. Cover with plastic wrap and set in a warm, draft-free place for about 1 hour, or until doubled in size. Once risen, gently punch the dough down and turn out onto a lightly floured work surface. Roll into an approximate 10 to 12-inch circle, so that the dough is about ½-inch-thick. Using a 3-inch biscuit cutter (or upside-down glass), cut 6 to 8 circles from the dough, discarding any scraps. Place the circles on a lightly-floured, large baking sheet, spaced at least 2-inches apart and cover loosely with plastic wrap. Allow to rise in a warm, draft-free place for about 1 hour, or until slightly puffed. Meanwhile, spoon the Bonne Maman preserves into a pastry bag fitted with a small tip and pour the sugar onto a plate or shallow bowl. Set both aside. In a dutch oven fitted with a candy thermometer, add about 3 inches of vegetable oil and heat to 350°F. 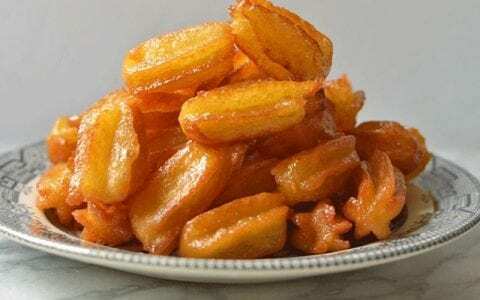 Working in batches of 2 to 3 at a time, gently add the doughnuts to the oil and cook, flipping once halfway through, for about 2 to 3 minutes per side, or until golden and cooked through. Transfer the doughnuts to a wire rack set over a baking sheet and allow to cool for about 5 minutes. Once the doughnuts have cooled slightly, roll them in the sugar, one at a time, until completely coated. Using the tip of your pastry bag, poke a hole into the side of each doughnut and gently squeeze in about a tablespoon of the preserves. 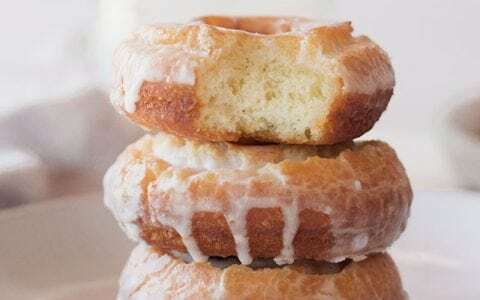 This process takes a bit of patience -- if you find yourself having trouble, you can use a knife to help create a pocket before filling, or simply cut the doughnuts in half and spread the preserves onto one cut half and sandwich them back together. 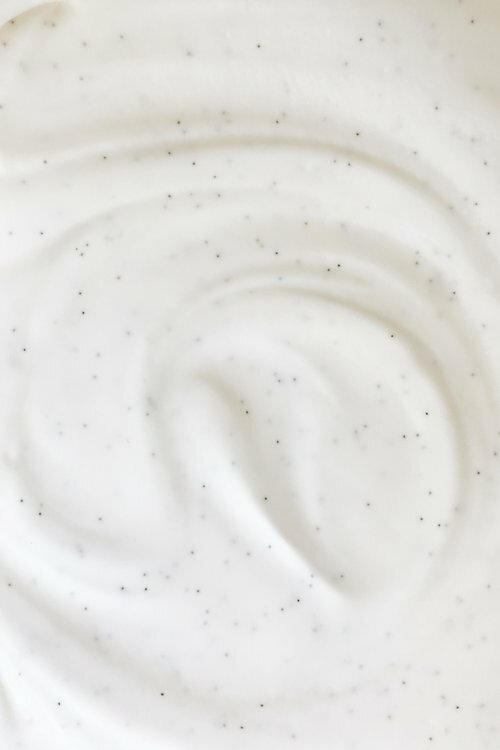 To make the vanilla mascarpone sauce, whisk all of the ingredients together in a bowl until well combined. If you find the sauce to be too thick, add more milk, 1 tablespoon at a time, until you reach your desired consistency. Serve the doughnuts warm with vanilla mascarpone sauce on the side for dipping.